Thanks to a growing attention to the selection of meats and the continuous evolution and innovation of production processes, today all Citterio's prosciutto crudo is prepared without the use of preservatives. 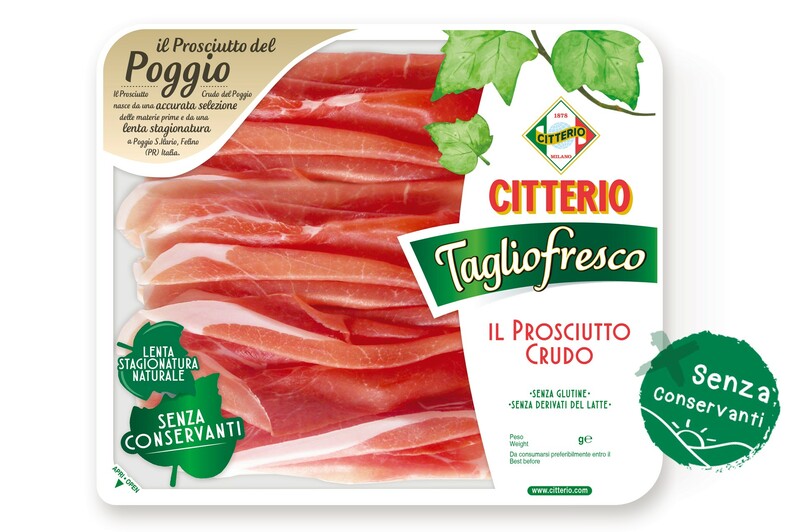 In every line, from entire pieces to packs, you will find Citterio's authentic taste in many different forms, one for each occasion: from the Tagliofresco Prosciutto Crudo del Poggio to the Sofficette range ideal for sandwiches, to the La Merenda range designed as delicious snacks. Find out more about Citterio's emphasis on health in our nutrition section: go and visit it to find out the importance of meat in nutrition and other curiosities!